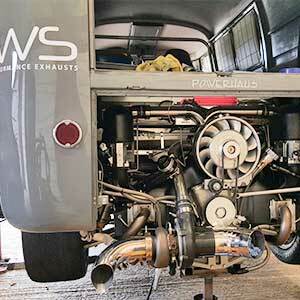 IWS creates very high quality exhaust systems and specialist exhaust parts. Our bespoke services cater for any make and model of vehicle. Past projects include kit cars, classic cars, drift cars and various high performance vehicles. 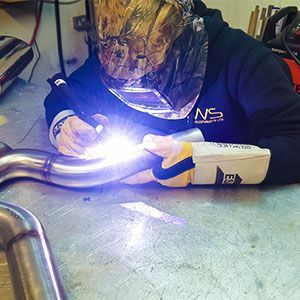 We use the highest quality materials and extensively TIG weld our exhausts and manifolds for perfect finish. If you have a project that you would like to discuss please get in touch. This was constructed from 100mm tube, cut and welded to make the (pie cut) effect. This part is welded onto the end of the collector from which in this case 4 merge into 1. rttitor. Stuart at IWS us an artist! 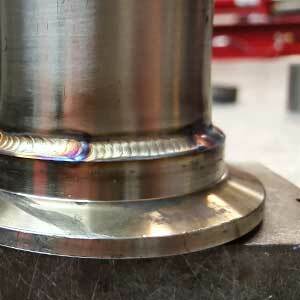 Just look at those welds! ……. I was after a one off exhaust for my Bmw turbo and I found Stuart, we discussed my needs, and I described what I wanted and Stuart knew exactly how to make it work. I can’t recommend IWS enough. WS Developments just modded my e92 m3 exhaust, perfect job extremely happy, highly recommended and the quality of work is spot on. Thanks again. My car now sounds amazing !!!!!! This guy is a total wizard! Recently finished a complete decat overpipe and frontpipe combo for my GT86. 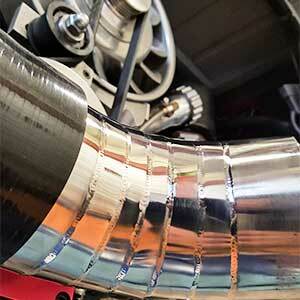 Fit and finish was amazing, including the titanium wrapped overpipe for heat shielding. Stu is so professional about all his work and I would totally recommend him to anyone wanting to do some modifications to their car. I am so pleased with the result, that I am going to go back to him for a decat manifold and intake duct in the New Year.